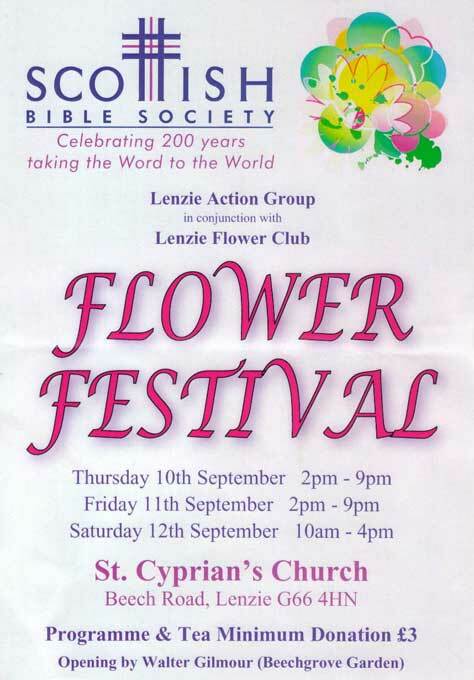 Lenzie is a friendly and informal Flower Club with over 100 members of all ages. 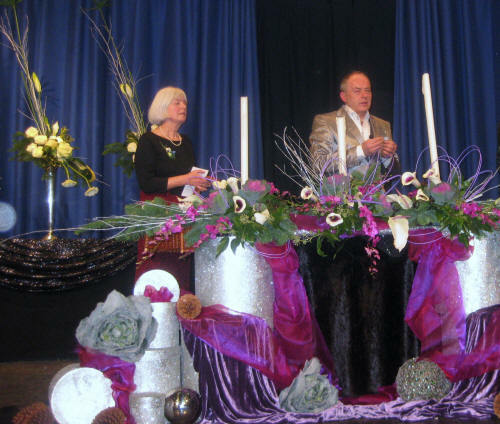 There are Monthly Demonstrations by National and Area Presenters, with the floral arrangements being raffled for club funds and to off-set the cost of Demonstrator. 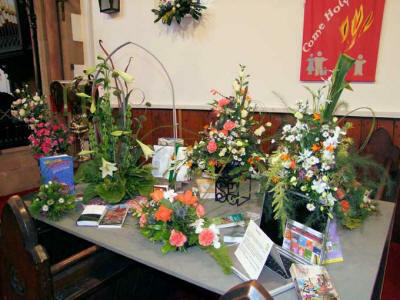 Fun "hands-on" workshops are held each year and a club competition for members at the June meeting. 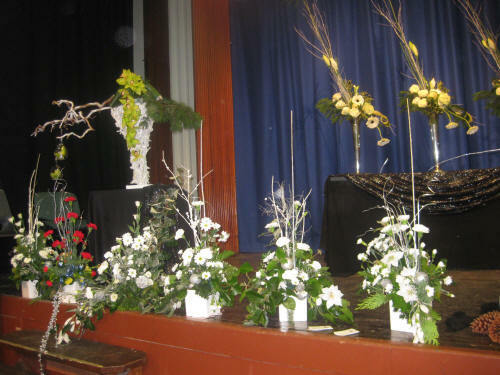 At Christmas we hold an Open Demonstration with all proceeds going to local charities. 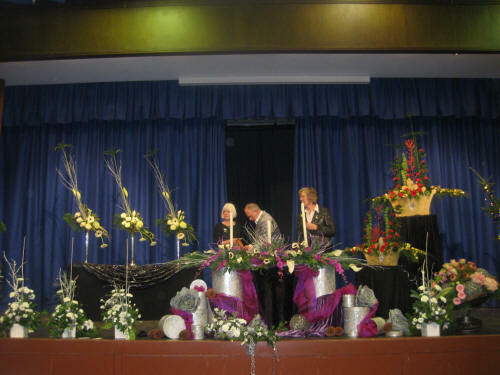 Club members have participated at Chelsea in 2007, gaining a Bronze and at Gardening Scotland, gaining Bronze in 2007 and Silver in 2008. 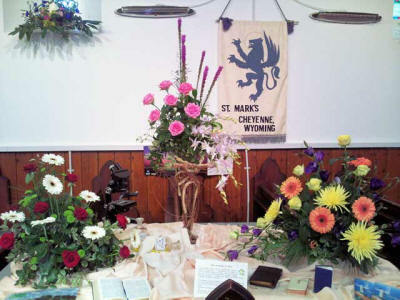 We look forward to welcoming new members to our club. 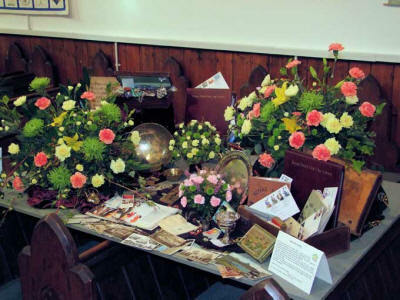 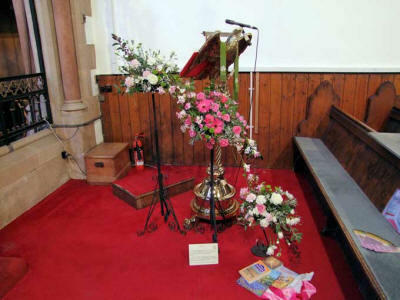 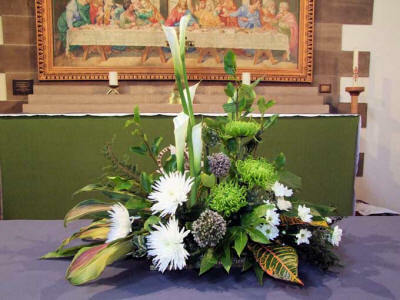 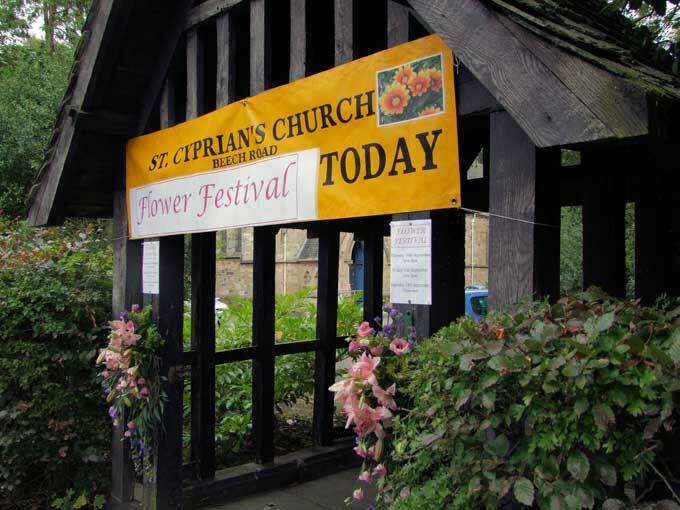 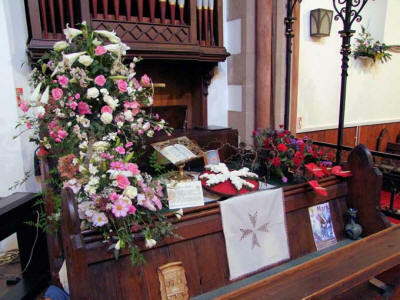 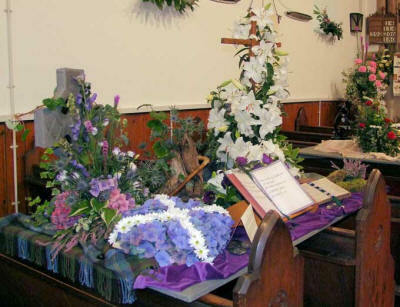 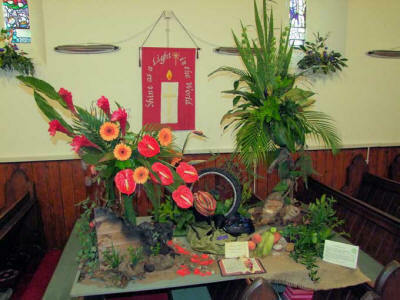 The Scottish Bible Society celebrated its bi-centenary in 2009 and the local Lenzie branch of the Bible Society asked the Flower Club to help them stage a Flower Festival in St. Cyprian's Church, Lenzie in September 2009 as part of their contribution to the bi - centenary celebrations. 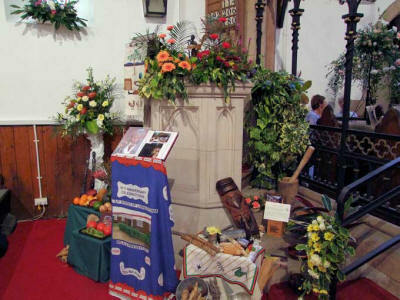 The Bible Society organised all the refreshments and music throughout the 3 days of the Festival. 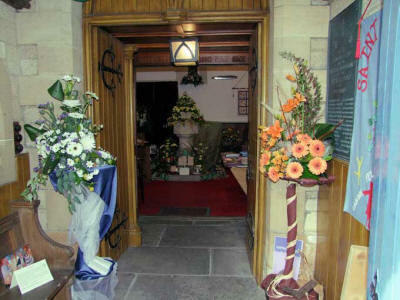 The Flower Club did all the arrangements in the Church, bar one which was donated by our local florist. 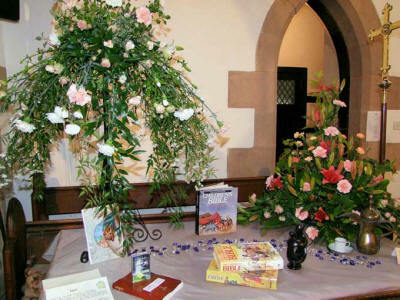 The Festial was opened on 10th September by Walter Gilmour, Beechgrove Garden. 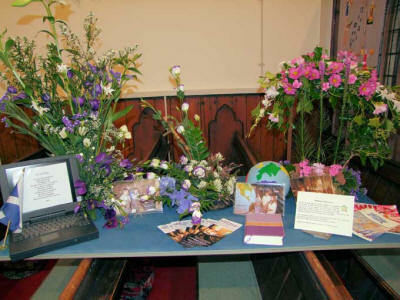 The event was a great success and raised funds for the Bible Society's Bi - Centenial project. 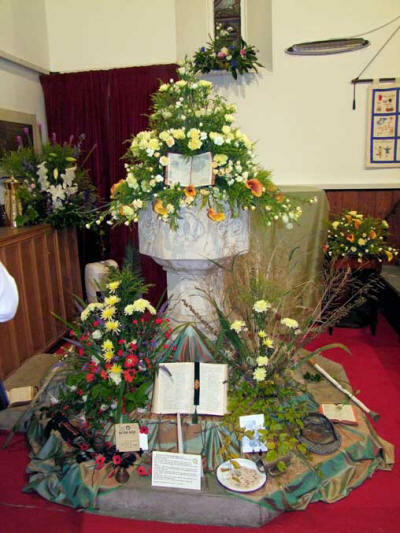 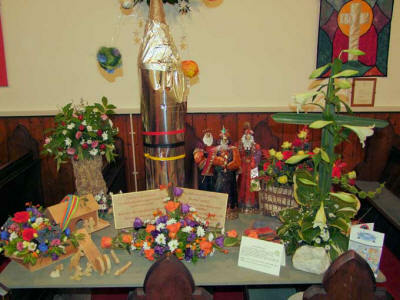 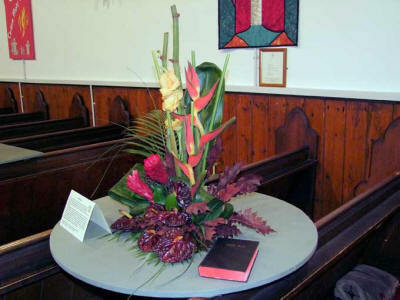 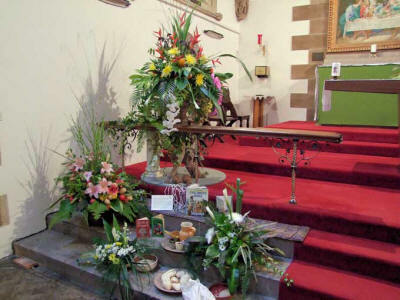 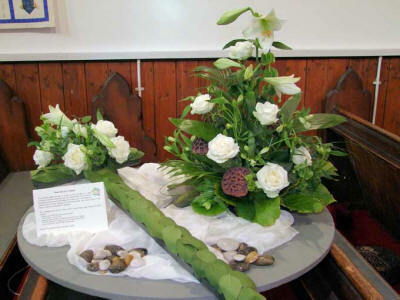 The following photographs show the various floral displays representing the work of the Bible Society throughout the world.